Reservoirs are created to provide a benefit to people. However, the flooding, or inundation, of land and the management of the reservoir water can have an unfavourable effect on people, the wildlife and the environment, not only in and around the valley, but also downstream of the dam. The disadvantages of creating a new reservoir should be considered during the planning stages. Suitable methods should be decided upon to eliminate or reduce the disadvantages, so that the reservoir provides an overall benefit to people. be innundated by the reservoir. 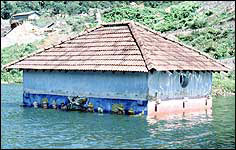 People and their livelihoods are affected when the areas where they live and work are inundated by a reservoir. For some large reservoirs, tens of thousands of people have had to leave their homes and set up elsewhere. In the past, many of these people have not been given adequate compensation for their losses, and some have not even been given new places to live. Also, existing communities have been broken up and moved to different areas. Some people made their living from farming the land or fishing from the river. Many of them suffered when they were relocated, as they were not given new land to work and were too far from a river to fish. They needed different skills to get another job and training was not always provided. These days, authorities are becoming more aware of these issues. Resettlement plans have been developed to minimise the disruption and suffering caused to people in the reservoir area. Good plans make sure that fair compensation and employment opportunities are provided for all people, and that the law protects their rights. 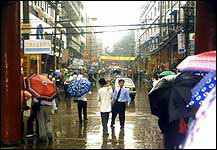 In some cases, efforts have been made to resettle people in their communities. Dams are often constructed across rivers to store water that would naturally find its way to the lower reaches of the river and into the sea. The presence of the dam upsets the natural balance of the river, affecting the animal and plant life in and around it. These are some of the reasons. Upstream of the dam, the river is flooded and becomes a reservoir. The nature of the river flow downstream is changed. The dam can hold back sediment that normally finds its way downstream. When the river valley is inundated with water, animals are forced to leave the area and plants and trees are killed. Sometimes, rare species can be affected. For some large reservoir projects, nature reserves have been created. Plants and trees have been replanted in them and some of the affected animals have been moved there. However, the reserves can only be really successful when careful thought has been given to the way that the plants and animals depend on each other and their environment. A dam across a river can form a barrier to fish that migrate, such as salmon. Fish passes can be included in the design of a dam to allow adult fish to swim upstream to spawn, and back downstream later with their young. 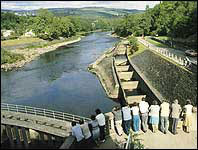 Fish passes usually take the form of a fish ladder or a fish lock. These fish passes have to be designed very carefully to make sure that the conditions are right for the fish to use them. Rivers carry sediment. When a river enters a reservoir, the speed of the flowing water slows down and sediment can be deposited on the reservoir bed. Over a number of years, the sediment in the reservoir can build up, and reduce the space available for storing water. Some of the sediment held back in the reservoir would normally be carried downstream. If too much sediment is stored, the natural balance of the river downstream can be changed, affecting people, wildlife and plants as far away as the river estuary. Farming land, used for growing crops, can be deprived of silt and its nutrients that are normally deposited when the river floods. Nutrients are important for fertilising the soil. When designing a dam, the quantity of sediment that will flow into the reservoir has to be considered. 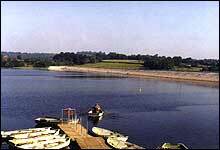 The reservoir is designed to reduce the amount of sediment deposited, and to maximise the sediment flow downstream. The flow of water carrying the sediment can be controlled by carefully positioning spillways and outlet pipes and tunnels. Sometimes sediment is allowed to build up in the reservoir. Then periodically, it is removed. 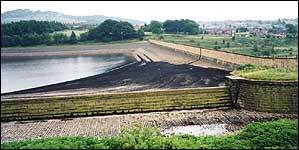 This can be done by letting water out of the reservoir through outlets at the bottom of the dam, so that the sediment gets flushed out. Sometimes dredging is used for small reservoirs, but this is an expensive operation. The quality of water can deteriorate when it is stored in a reservoir. River water contains dissolved oxygen. Sufficient dissolved oxygen is needed to maintain aquatic animal and plant life, and to prevent some types of chemical reactions that form unwanted pollution in the water. There are many factors that can reduce oxygen levels in a reservoir, for example, organic material in the water can use up oxygen as it decomposes (or rots). The depth of the water, its temperature and its flow can also affect the oxygen levels. The type of land that is inundated by a reservoir may affect the water quality. Pesticides from farmland and toxic materials from industrial land can pollute the water. Also, the streams and rivers flowing into the reservoir may be carrying pollutants. The designers of a reservoir have to consider whether any of these factors will have a significant effect on the quality of the water and whether they have to include special measures to offset any problems that could occur. Throughout history, people have settled and built their communities in river valleys. This means that many of the world's archaeological sites and historical buildings and monuments can be found in these areas. Often they include sacred buildings such as churches and temples and their burial sites, which can be of great value to the local inhabitants. Such heritage can be lost forever when a valley is inundated with water to create a reservoir. Intensive archaeological investigations at sites believed to have been inhabited by ancient civilisations, before dam construction proceeds. Redesign of dams, to minimise the losses. The dismantling, relocation and re-erection of ancient monuments.